Canceling a listing contract for your home should be a straightforward process, particularly if your real estate agent hasn't brought in any potential buyers. You can ask for a release or to be assigned to another agent within the firm if it's sizeable enough. The terms of the cancellation should already be spelled out in your contract. Most residential listing agreements are a bilateral contract, meaning both the agent and the seller must perform. The first step in canceling a listing contract is establishing the grounds for a cancellation. This could be because of a lack of good communication. For instance, your agent may not be providing the updates you require. It could also boil down to a lack of good chemistry. At the other end of the spectrum is unethical behavior. Determine if any of those reasons apply to your situation before taking any action. Ask for a release. The time to ask about canceling a listing is when you sign the listing contract. Ask your agent if she will release you if you are unhappy. Request a release in writing. Tell your agent immediately if you want to cancel. Do not delay this communication. Put your request in writing and document your expectations. An email will work fine. Ask to be assigned another agent. Realize that your listing is between the brokerage and you, not you and your agent. If you are unhappy with your agent, it might be entirely permissible and easier for everyone if you ask the broker to assign another agent to you. If you have laid out the reasons that you want to cancel the listing and the agent refuses, you might have to hire a lawyer, although there is no guarantee that a lawyer will get you the outcome that you desire either. Poor communication. If you prefer daily or weekly updates from your agent and she does not provide them, that's a good reason to cancel a listing. First, though, give your agent an opportunity to improve her communications skills. Don't just yank the listing away. Bad photographs. Photos are the most important aspect of marketing. 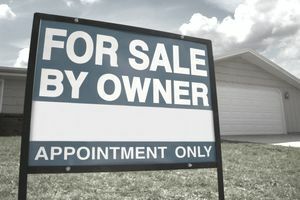 An agent can misspell words or use the wrong words and a home will still sell. Photos, however, are a different story altogether. Look at your photography. The images should place your home in the best light possible. If the photography is not professional grade, you might want to cancel the listing. No internet exposure. Google and other search engines are essential tools in getting your listing out into the wider world. If you put your address into a search engine and don't return any results, that's a big red flag that little is being done to sell your home. Mismatched personalities. Sometimes you don't get to know a person until you have worked together. You might be an overachiever now paired with an underachiever. You might want just the facts but the agent might lean toward a passive nature. It's OK to cancel a listing if your personalities don't mesh. Unethical behavior. Agents rarely set out to be unethical but it can happen. Perhaps they've flip-flopped on broker fees or have overpromised on things to buyers that are an impossibility. If you feel that your agent is not representing your best interests, it might be time to cancel the listing and look for a new agent.